So, today I finally had the chance to turn my thoughts into a reality. I wasn’t exactly re-inventing the wheel here, a simple google search yields multiple recipes for each of the individual components, but none with the complete sweet corn, maple, bacon trifecta. I started with the buttercream– this time a french buttercream rather than the swiss meringue from the Frostpocalyse… although I did retain the temperature lessons from that ominous day. 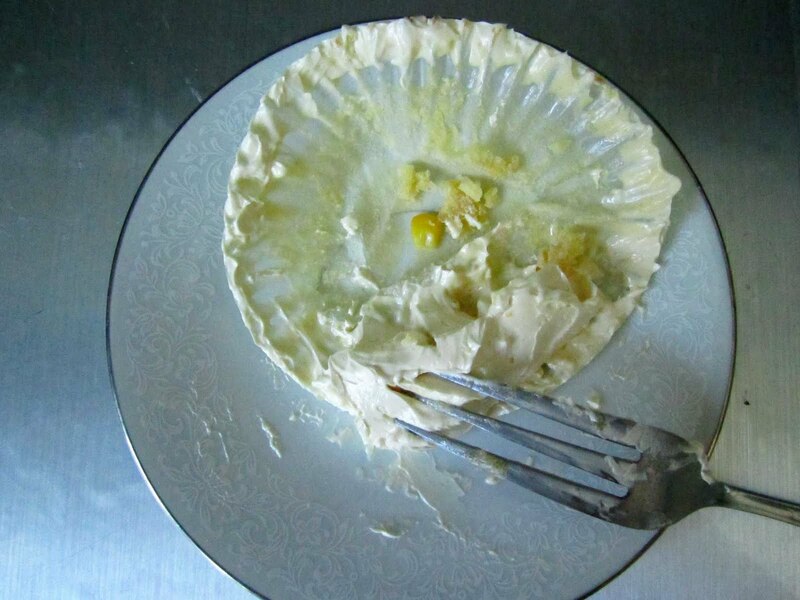 Then I pulled together the sweet corn muffins with some greek yogurt and a dash of double strength vanilla extract that Wicky gifted me from the Spice House in Chicago (which is one of my favorite places in the world…. come to LA, come to LA….). 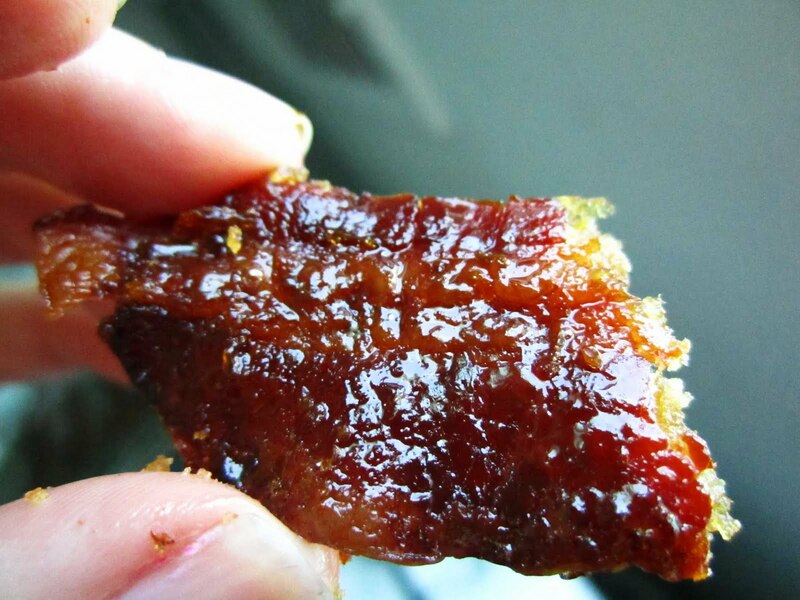 The candied bacon was easier than I thought it would be. Just Oscar Mayer Center Cut bacon, topped lovingly with brown sugar and baked in a 400 degree oven for 8 minutes, then flipped and cooked for another 4. 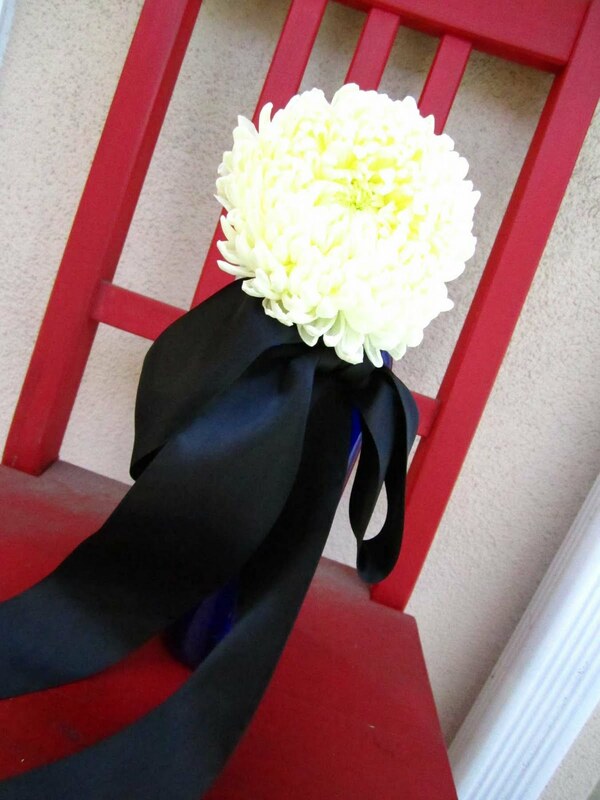 While I waited for the cupcakes to bake, I also tested out a China-mum corsage for my sister’s upcoming wedding. 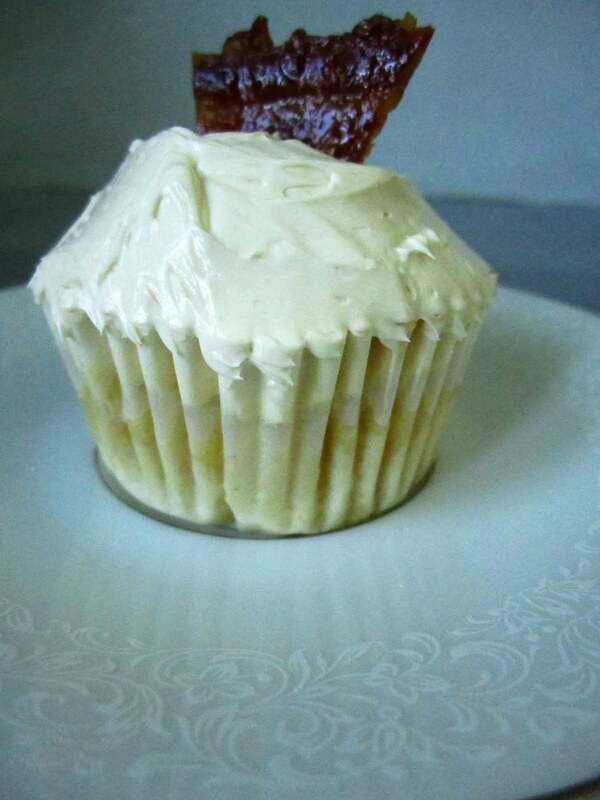 The resulting cupcake was less cake than muffin-like (which is great, b/c the Gent does not really thrill to cake), with a wildly maple-licious frosting, brought together by the salty-sweet zing of candied bacon. All together, this is a great Spring cupcake that will only get better as corn season reaches its peak in June. Most importantly, it is a great breakfast cupcake– which is easily my favorite time of day to partake in cupcake consumption. It’s a great dessert to bring to a dinner party, but also a lovely addition to a brunch menu. And in that vein, I feel compelled to mention that after quality control testing the cupcakes and components, I cleansed my palate with an omelet made from the orphaned egg-whites, and topped it with some spinach, feta, olives and sun-dried tomatoes that I had laying around the pantry. Preheat oven to 400 degrees. Place a rack over a baking sheet; spray lightly with nonstick cooking spray. 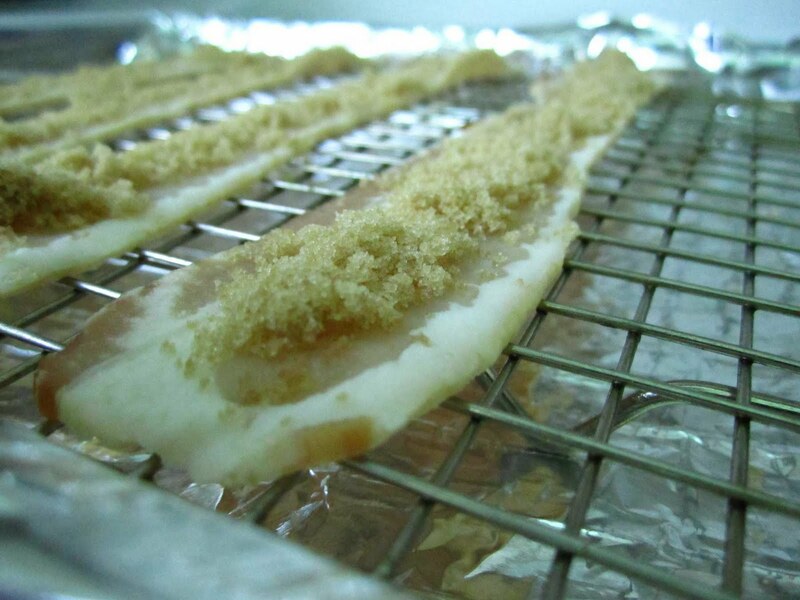 Lay the bacon over the rack & sprinkle with brown sugar. Bake on one side for 8 minutes. Remove from oven, flip, and sprinkle the fresh side with brown sugar. Bake for an additional 4-5 minutes until sugar has caramelized. Let the bacon cool before breaking into pieces. 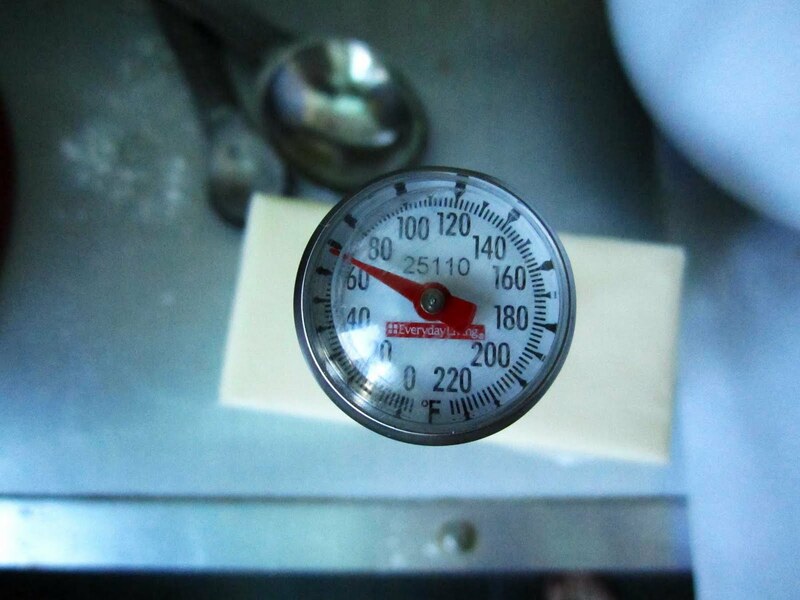 240 degrees on a candy thermometer, about 15 minutes. Remove from heat. With the mixer running, slowly pour syrup down the side of the bowl in a slow, steady stream, until completely incorporated, about 1 minute. Continue beating until bowl is just slightly warm to the touch, 4 to 5 minutes. Add butter, one piece at a time, until thoroughly incorporated and the frosting is fluffy, about 4 minutes more. Add Vanilla and salt. Beat until incorporated (about 30 seconds). Makes about 2 cups (enough for 24 cupcakes). Store frosting in refrigerator for up to 3 days. Bring up to room temperature before using. Beat butter in an electric mixer until light and fluffy. Add egg and beat until incorporated. In a blender or food processor, puree yogurt and corn until smooth (add a table of milk if it is too thick). In a separate bowl, combine flour, salt, baking soda and baking powder, and whisk to blend. Add about 1/3 of the flour to the butter and egg mixture and mix to incorporate. Mix in half of the corn purée. Add half of the remaining flour and mix just to incorporate. Add remaining corn purée. Mix in remainder of flour and stir to incorporate. Fold in the second quantity of corn kernels. Spoon the batter evenly among the cupcake liners. Bake for 15-17 minutes, or until slightly risen and set. Allow to cool on a rack before frosting. make the ‘tapenade’: (I offset with quotations, b/c I know this is not not technically a tapenade, b/c it doesn’t have capers & anchovy… and I know that b/c I am a nerd…) Roughly chop the Feta, olives, and tomatoes. Combine with olive oil and pepper. Set aside. cook the omelet: Spray a small skillet with non-stick cooking spray and place over medium heat. Beat the egg whites until slightly foamy. Pour the egg whites into the hot pan, and swirl in a circular motion until egg whites spread. Sprinkle spinach leaves on top, and flip the omelet to cook through. The whole operation should take a little less than a minute. 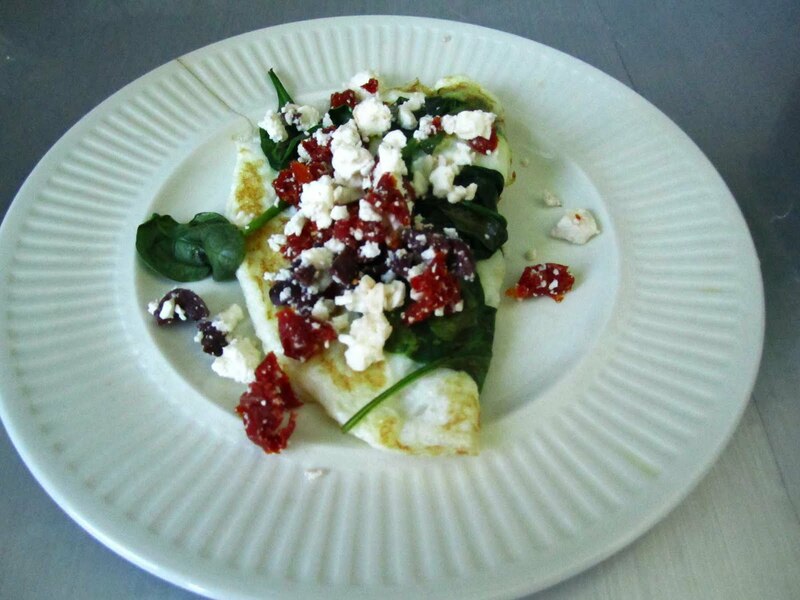 Top omelet with tapenade. Don’t feel guilty about making (and eating several) cupcakes.